This necklace from Roberto Coin's Princess Flower collection is straight out of a fairytale! 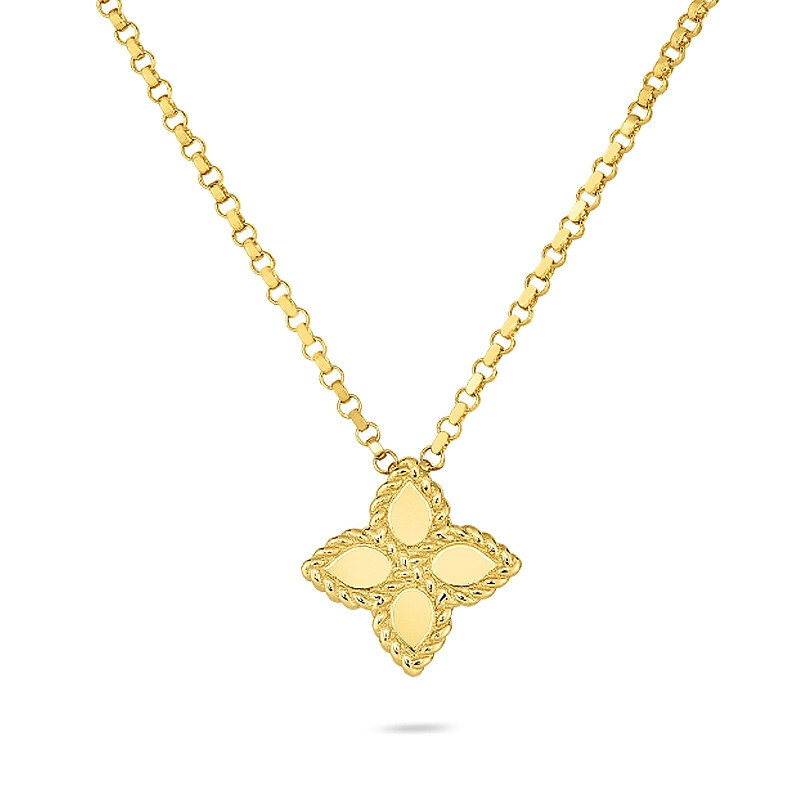 Crafted in 18K yellow gold, a pendant with four petals of18K yellow gold float on an 18" chain. This Roberto Coin pendant necklace seamless combines smooth and twisted precious metal in a pretty piece of jewelry that offers a laid-back luxury.